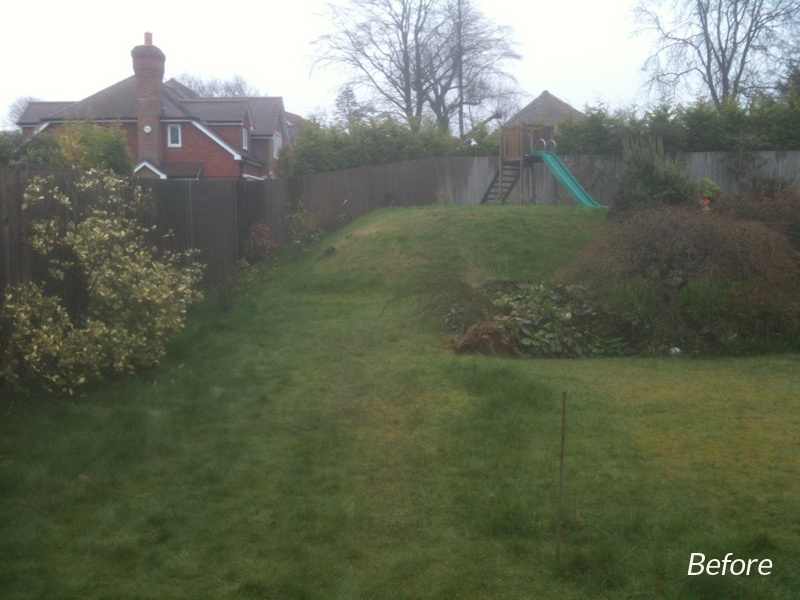 also used for the path and new terrace edging. 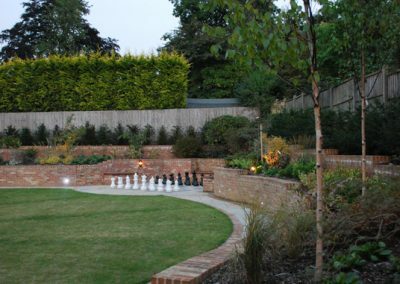 The path infill and main terrace areas were laid in a riven Limestone with seating options next to the house and towards the rear of the garden. 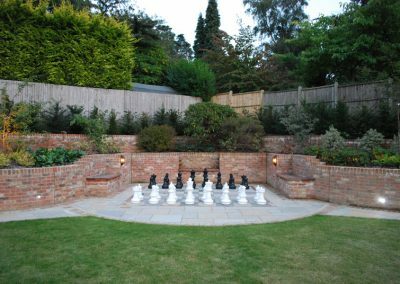 Due to the clients being keen Chess players a fun scaled up chessboard was also designed and implemented with adjacent seating and lighting throughout. 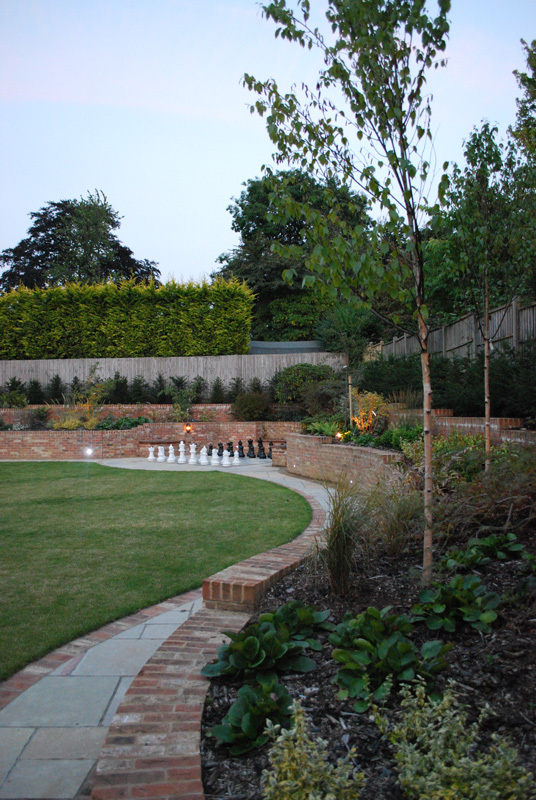 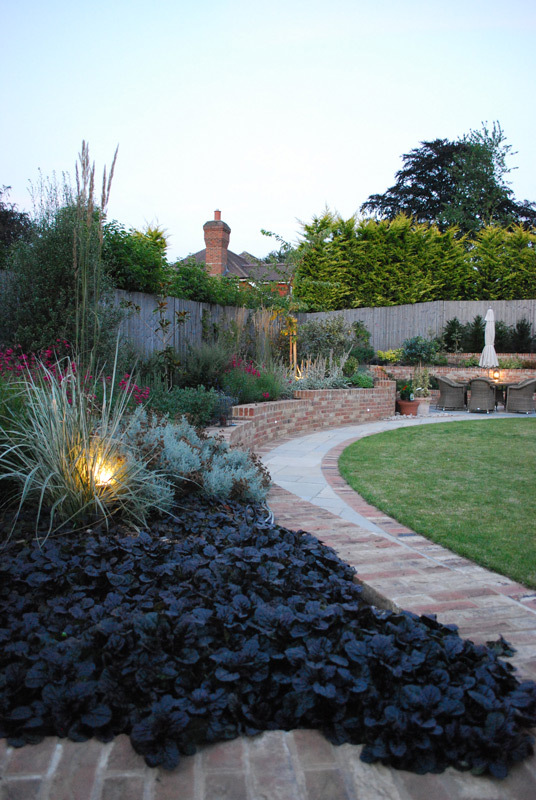 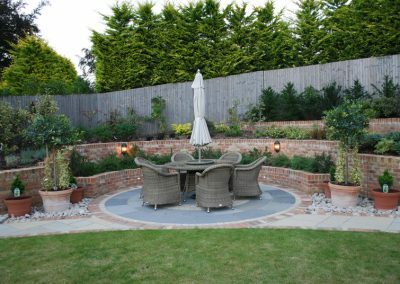 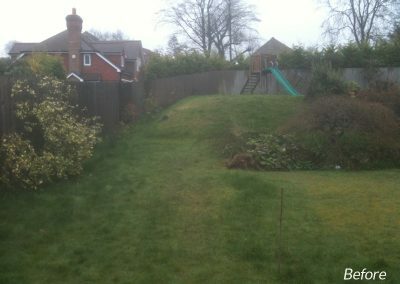 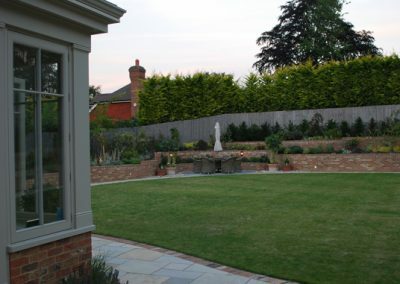 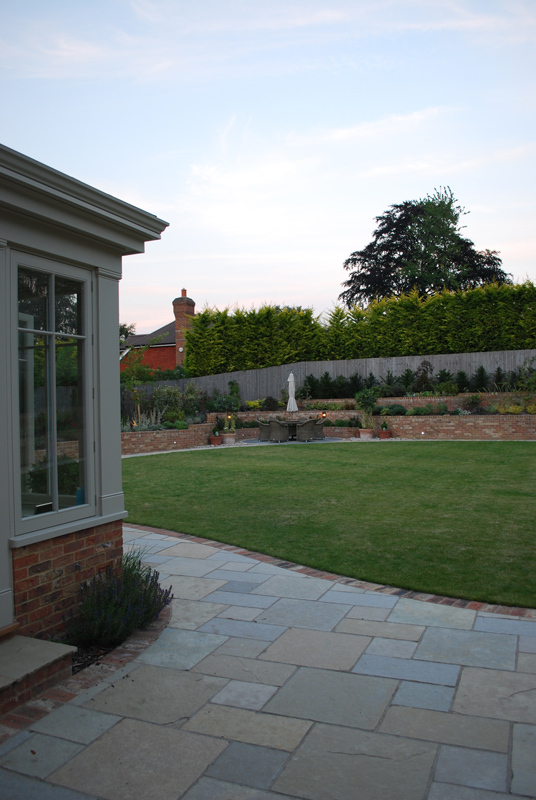 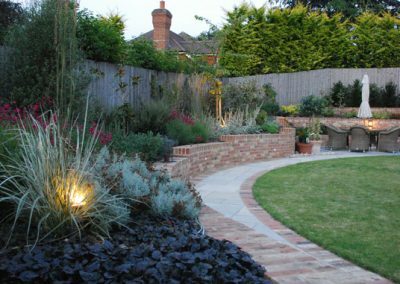 A new lawn and planting scheme was then implemented to finish the garden off.